(CNS): Elvis Ebanks was found guilty Thursday of two counts of bribery and two counts of breach of trust. It took the jury just over three hours to convict Ebanks, a former officer with the RCIPS, of asking for a bribe of over CI$500 not to pursue a criminal case against a Filipino national who was suspected of stealing a phone. Ebanks is the first public official convicted under the anti-corruption law and he is facing a custodial sentence. Following the verdict, the 30-year-old man from George Town was bailed until 17 July on the request of his defense counsel, who pointed out that, given the sensitivity of his client's situation, special measures may be required regarding where Ebanks would be housed. In the wake of the verdict the Anti-Corruption Commission issued a statement regarding what it described as a landmark conviction, as it is the first case to be prosecuted under the anti-corruption law. A case last year originally investigated by the anti-corruption team was eventually prosecuted under the common law and involved a civilian police receptionist who released confidential data. Following her guilty plea she was given a suspended sentence last year. This case is considerably more serious and the first prosecuted by the crown where the defendant was accused of intentional corruption for personal benefit. "Public officials are placed in a position of trust and as such must perform their duties honestly and professionally whilst displaying the highest level of integrity. When public officials fail to act in accordance with these standards, they will be held accountable. The ACC continues to work diligently to fulfill its legislative mandate to receive and investigate any report of the commission of a corruption offence as detailed in Part III of the Anti-Corruption Law (2008)," a spokesperson said. Dressed in black, Ebanks remained calm and composed as he sat in the dock when the jury delivered its unanimous guilty verdict in what the judge described as a long and difficult case. Ebanks had denied the charges from the beginning, saying he had entered into a legitimate loan agreement with Elmore (Len) Ferrares when he gave him a ride home after the case regarding the phones had been dropped. However, at the time Ebanks was in uniform in an unmarked police car, having been called to the Autospa to deal with what had been a suspected theft. Although the phone owner had said he did not want to press charges, Ferrares was unaware that he would not face legal consequences in connection with the phone he claimed to have found at the local carwash. He told the court that the police officer had threatened him with ten years in jail unless he paid him money. He said he gave him $150 while he was still in the police car and arranged to meet Ebanks to give him another $500 a few days later. However, Ferrares was encouraged by friends to report the incident and, as a result, a sting operation was set in motion by the ACC and Ebanks was arrested. Although Ebanks is of previous good character with no previous convictions, in light of the case and his role as a former police officer, a social inquiry report was ordered by Justice Charles Quin, the presiding judge, in preparation for the sentencing hearing in July. Ebanks was bailed until that date with an 8pm – 6am home curfew and a $5,000 bond along with two $10,000 sureties. (CNS): Legislative Assembly officials have announced that the budget meeting will now take place on 26 May providing that the UK gives the finance minister the nod for his 2014/15 spending plan. 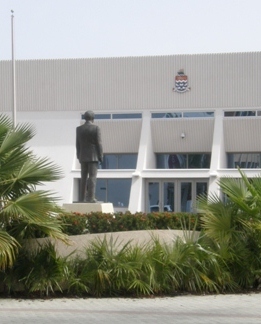 The official notification of the State Opening & Budget Meeting of the Cayman Islands Legislative Assembly was sent via email to members on Wednesday evening indicating that the House will now meet to deal with the government's second budget a week on Monday and not next Wednesday as had been expected. Ezzard Miller the MLA for North Side said that members were given just twenty-four hours to submit motions and questions for the meeting which he said was unacceptable. The formal letter sent by the LA to members of the country's parliament on Wednesday said Parliamentary Questions and Motions had to be submitted before 5pm today, Thursday 15 May as a result of the standing order requirement that these have to be handed to the Clerk no later than ten days notice prior to the commencement of the Meeting. Miller said this was even worst than the last government and despite the election promises of the PPM government to restore the integrity of parliament they were also "treating it like a fish shop". He said that the email was sent out from the LA at 5-40pm on Wednesday evening giving members less than twenty four hours which was unacceptable. The independent representative said it made it impossible for him to do his job properly as he pointed out he had arranged to meet constituents this evening to discuss some issues that would have led to a possible motion or questions but now he said he will not be able to help them in this meeting as the deadline has come and gone before members.com have had anytime to consider what they need to submit. 'This is worse than its ever been," he said, adding that as bad as things were under the UDP the Speaker would allow questions and motions to be submitted after the deadline though he conceded that was wrong. "We have to get to the point where the speaker sets the four meetings of the parliament for the year and ministers then should work towards those dates," as he berated the arbitrary approach that the current government was taking to meetings when they had criticized the previous administration for behaving the same way. Although the premier had made an attempt to set a parliamentary timetable it was only three dates and in the end they were changed. Miller also pointed out that had the former premier, Mckeeva Bush not changed the law to give his UDP government until the eleventh hour to deliver their budgets, the PPM, who had objected to that change at the time when they were in opposition, would also have been a month late with their 2014/15 spending plan. Miller railed against what he said was the continued disrespect for the Legislative Assembly and by implication the country's democratic system. (CNS): The former lead officer on the costly and controversial Operation Tempura internal police investigation has pointed the finger at the Attorney General’s Chamber as the source of many of the conflicts, problems and anomalies that surrounded the corruption probe. Martin Bridger, who is increasingly speaking out about his time heading the investigation, is also one of a growing number of voices associated with the discredited investigation calling for a full public enquiry. The senior investigating officer has pointed to a number of concerns that call into question decisions made and advice given by the government lawyer's offices. From the details surrounding the arrest of Rudy Dixon, who was police deputy commissioner at the time, and the arrest of Grand Court Judge Alex Henderson, to the employment of a UK lawyer and exactly what the governor at the time, Stuart Jack, did or did not know, Bridger said the truth is still the main casualty in the fallout from Tempura. Speaking to CNS this week in the wake of his appearance at the OffshoreAlert conference in Miami, where Bridger was part of a panel discussion on the probe, he said the only way the truth will come out about Tempura would be via an independent and open public enquiry. Bridger has become considerably more candid about events in recent months as he emerges as the latest scapegoat from the entire botched operation and related legal issues. Bridger complained to Scotland Yard about the events of Tempura, and although the London police force found the need for a criminal investigation, nothing happened. Conflicted as a result of its oversight of Tempura at the beginning of the investigation, Scotland Yard passed Bridger’s complaint to the FCO, which passed it to the governor at the time, Duncan Taylor, who passed it to Police Commissioner David Baines. Baines is now in possession of that complaint and the advice of the Met stating there should be a police enquiry about the original police enquiry but he has yet to comment on whether or not he will investigate. Bridger appeared in Miami alongside the former Cayman Islands auditor general, Dan Duguay, who also came across many barriers to the truth during his attempt to audit the costly probe, and John Evans, a former Cayman Net News reporter involved in the original allegations that triggered the probe. During the panel session Bridger set out a number of details about the enquiry and for the first time publicly he pointed out that the arrest of the former deputy police commissioner, Rudolph Dixon, by the Tempura team was made based on the same offence and in the same way as that of Justice Alex Henderson. However, the arrest of Henderson was ruled unlawful during a judicial review by visiting judge, Sir Peter Cresswell. Bridger explained that although the attorney general had conceded during the Henderson review that the judge’s arrest was unlawful, he did not draw the same conclusion over the Dixon arrest, even though the circumstances were the same. Not only did he allow the Tempura team to go on to charge the senior cop, but his Chambers represented the team at Dixon’s trial on misconduct charges, where he was ultimately acquitted by a jury. At no point did anyone from the government lawyer’s office ever suggested the case had to be stopped in light of the Henderson finding. Bridger also notes that as part of a complaint made by Justice Henderson against Martin Polaine was over his eligibility to practive law in Cayman. However, the appointment of Polaine, the second lawyer on the Tempura team who replaced Andre MonDesir, was sanctioned by the AG’s office, which never informedBridger that he would need to be called to the Cayman Bar. When Bridger was sued by Stuart Kernohan, the former police commissioner and major casualty of Tempura, he was directed by the Attorney General’s Chambers to conduct his defence in a certain way, he claims. The legal department, he was told, would then continue to represent him because the suit related to Bridger’s time as an employee of CIG. However, the AG withdrew his representation when Bridger filed his first complaint about the investigation. This is the document that remains part of an ongoing legal battle between the Information Commissioner's Office and the Office of the Cayman Islands Governor. The biggest allegation of all, however, that Bridger now continues to make against the attorney general is that his office knew all about the controversial entry into Cayman Net News by John Evans and fellow journalist Lyndon Martin looking for evidence of corruption within the police. Bridger says that he was never informed by the Attorney General Samuel Bulgin, then governor Stuart Jack or Larry Covington, the FCOs regional adviser security advisor, that they had been briefed about the planned covert entry into the newspaper offices. However, both Kernohan and John Jones, a senior ranking police officer who was suspended at the same time as Kernohan, and have stated in sworn evidence in court when they were presented as crown witnesses of truth, as well as in other forum, that they had briefed their UK bosses. Kernohan is also believed to have documented evidence to prove it. Since Bridger went public about not being told that the three UK officials may have known all about the entry, theformer governor and the attorney general have both denied knowing about or approving Kernohan’s operational decision. Covington, meanwhile, remains as silent as ever on all matters. Bridger believes the best way to find out who is telling the truth and why documents are really being covered up is for an independent public enquiry so the people of Cayman who have footed the bill for the costly probe, which has raised far more questions, problems and concerns that it ever answered, will understand where their tax dollars went and why. He is backed by Duguay, Cayman’s former auditor general, who also encountered many problems when he attempted to audit the probe. Duguay told CNS that he supported the call for a public enquiry, not least because the people of the Cayman Islands deserve and should know how much the investigation and its resultant processes have cost. In a value for money report published in 2007 regarding Hurricane Ivan, Duguay had already warned the CIG about confidentiality agreements involving public money. He recommended that legislators make a clear resolution banning the use of confidentiality clauses unless there is a clear and genuine national security threat in not doing so. Despite this issue, CIG has in the seven years since that report continued to enter into such agreements for many reasons, including the ones surrounding Operation Tempura, where no such threats exist. (CNS): In the wake of reports and concerns over violence and the anti-social behaviour of some students in government schools, the minister for education is promising sanctions and consequences under a new behaviour management system the ministry is implementing for the start of the next school year in September. 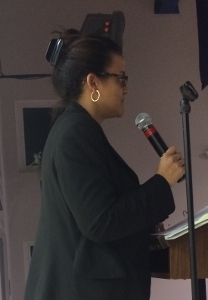 During a West Bay meeting on Monday evening Tara Rivers said schools will have control of behaviour in the new policy after management system weaknesses had been identified in a recent review. Rivers told West Bayers that the ministry has developed clear guidelines about behaviour expectations, setting out who is responsible for what. The minister stated that she has made it clear to the team at the education department to take responsibility for implementing the new system and making it work but she said this did not mean that parents were absolved of their responsibilities regarding their own children’s behaviour in the classroom. Warning that there will be clear consequences and sanctions under the new system,the schools were no longer going to tolerate the disruptions that are caused by just a few students. She added, however, that the government has a responsibility to educate all children and solutions were still needed to tackle the severe behaviour problems affecting some young people. Rivers indicted that schools would be given more direct control and more resources to manage the problems and support to enforce the rules but with that would come more responsibility and accountability. To start to address this, she said, the education department was piloting a pastoral support programme in some schools to help with troubled students. She said people were being trained to work directly with those young people with behaviour issues. The new management system, the minister indicated, would be rolled out in the high schools first and would be applied across the board before being implemented in the primary schools. (CNS) Asa result of significant mould problems in the chapel at HMP Northward the facility has been closed for over a year. But after 18 inmates, public works and Edie’s Décor got to work on it the place of worship has been spruced up. After the $52,189 refit the chapel was recently rededicated at an open evening service with prisoners and members of the community. Prison Chaplain Cathy Gomez said the chapel is one of the most widely used facilities in the prison and as prisoners built the original structure they were keen to assist in the renovations. 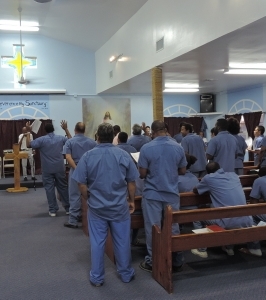 Each night of the week prisoners attend services in the chapel to which various churches send volunteers. There are also services on Saturday and Sunday mornings, and Bible-study groups during weekdays. In addition Christian Video Ministries screens a Christian movie each month. With the re-opening of the chapel, it is hoped that additional programs will be introduced during the daytime. “I pray that this sanctuary will be a place of healing and restoration for the prisoners as well as for the staff,” Gomez said. (CNS): The Cayman Islands Fire Service was called out to a blaze in the area of George Town landfill on Wednesday but this time it wasn’t Mount Trashmore that was on fire. A spokesperson for the fire service said it had received a call around noon from a member of the public stating that the dump was on fire. As a result the domestic crews responded immediately but soon found when they got to the area that the fire was not at the landfill but in the vicinity of the Redimix Concrete Plant. Fire crews discovered that a car which was being scraped for parts had been set alight by the welders as a result of leaking gas. Fuel had reportedly leaked out from the tank on the frame of the car and that together with the men using a welding torch to cut the axel from the car the sparks ignited the gas. The vehicle then burst into flames but when the fire crews arrived the men at the scene had managed to extinguish the blazing vehicle. However, the fire service also wet the car to cool it down more and ensure it would not re-ignite.